Have you forgotten how to have fun? Elizabeth helps strengthen your play muscles to make time and space in your schedule for more fun, right now. Let the fun begin! isn't about just getting more things done. It's also about freeing up time and space in your schedule so you have more time and energy to have fun! (For those of you who need to focus on having more discipline and less play, you may need to refrain yourself from reading on to avoid any further decline in your motivation.) But for those on the other side who feel frustrated that life seems like an endless string of obligations, read on! Step 1: Define What is "Fun" For You. Sometimes you don't end up doing "fun" activities when you have the time and energy for them because you haven't clarified what you find enjoyable. Then when you don't have clarity, you tend to slip back into either doing more work, surfing the Internet, or watching a TV show you don't care about simply because it's the path of least resistance. Go to a jazz concert. Invite friends over for dinner. Talk with my significant other or friends. Read a book: Always carry a book in your handbag or on your e-reader. Practice guitar: Make it a ritual to practice for a few minutes before bed. Talk with my significant other or friends: Call on your way home from work. Go to a jazz concert: Join a MeetUp group where they remind you about events. Invite friends over for dinner: Each Monday, invite a few people over for the following Friday or Saturday. Walk along the shoreline: Head over to the beach on Sunday afternoons. By thinking about how to have more fun, just like you would think about how to get more done, you can enjoy the journey more. Finally, if you're a parent to one or more boys, I implore you to go through the above exercise with them. I recently read this article on Alarming Trends About Guys and Technology and realized that giving children, especially young men, healthy outlets for their time and energy is so essential. You teaching your sons--or any young men around you--how to have fun in healthy ways could literally mean the difference between their success and total failure in all parts of life. Empower them to make the right choices. Elizabeth Grace Saunders is the founder and CEO of Real Life E® a time coaching and training company that empowers individuals to achieve more success with less stress through an exclusive Schedule Makeover™ process. Real Life E® also increases employee productivity, satisfaction and work/life balance through custom training programs. McGraw Hill just published Elizabeth's first book: The 3 Secrets to Effective Time Investment: How to Achieve More Success With Less Stress. 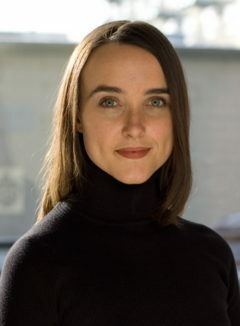 Elizabeth has appeared in Inc magazine, The Chicago Tribune, Forbes and on NBC and is a monthly contributor to 99U.com blog on productivity for creative professionals. She was selected as one of the Top 25 Amazing Women of 2010 by Stiletto Woman and as a member of the Young Entrepreneurs Council featured in The New York Times, The Huffington Post, Mashable, and many other media outlets. Elizabeth’s time coaching clients have the opportunity to go through her exclusive Schedule Makeover™ life transformation process through phone coaching and custom action guides or in-person training.